Blurb: Marissa, a theater musician, desired an escape from her impoverished existence in 17th century France. After watching Marissa perform, King Louis XIV snatched her from the stage only to cast her in his royal court. Marissa plots a betrothal to a marquis to cement her place among nobility. Her plans are interrupted by Michael, a noble and gallant musketeer. 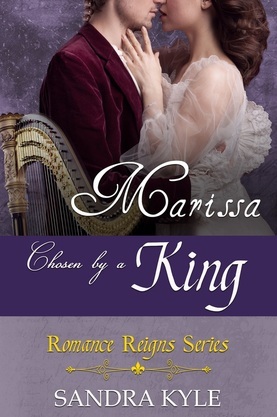 When Michael meets Marissa his service to the crown is challenged by a passion that overshadows duty. Surrounded by intrigue and clouded by doubt, can Marissa unravel the mystery of her own heart before it’s too late? The Romance Reigns series follows the fictional lives and romances of Louis's ladies. Every Lady Has A Story.